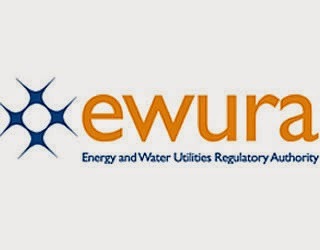 The Energy and Water Utilities Regulatory Authority (EWURA) is an independent regulatory authority responsible for technical and economic regulation of the electricity, water, petroleum and natural gas sectors. The Chairman to the Nomination Committee invites qualified candidate to apply for the position of Director General of EWURA. To oversee effective and efficient implementation of provisions of the EWURA Act, legislation relevant to regulated sectors and other such laws, rules, and regulations. To provide direction and leadership towards the achievement of the Authority’s vision, mission, core values, business strategy, annual goals, and objectives. To advise and inform the Board on regulated sectors, support activities, and other matters. To oversee the development of regulatory tools to ensure the quality of regulated products and services and that promotes sustain­able investment. To prudently manage the Authority’s resources within approved budget limits, guidelines, policies, laws, and regulations. To ensure that the Authority consistently presents a strong and positive image to the general public. To create and maintain a conducive working environment that motivates employees for optimal performance. To undertake any other duties incidental thereto and as assigned by the Board of Directors and other appropriate authorities. Willingness to serve as Director General. Qualified and interested candidates are requested to send an application letter and a CV indicating clearly their current position, e-mail address, telephone contacts, three names of referees and copies of relevant certificates and two current passport size photographs. Closing date for receipt of applications: 01st April 2019, at 17.00 Hours. Previous candidates are allowed and encouraged to apply. Application should be clearly marked “Director General of EWURA” on top of the envelop and be addressed to the Chairman of the Nomination Committee (EWURA), Ministry of Water to the address indicated below.